When your home is subjected to serious weather conditions, like rain, snowstorms, or a barrage of hail, the roof is often affected the most. Damage to your shingles can weaken the structural integrity of your entire home, causing expensive issues in the future. Thankfully, there are ways you can deal with the damage before it gets too bad. Learn from our hail damage specialists about how to handle storm damage. Perform an inspection soon after the storm has passed. By looking at your shingles and determining which ones are damaged or missing, you can make an overall assessment from a distance. Don’t walk on the roof as it can be structurally weak. You can go to the attic and check for holes or leaks, but avoid doing this if you see watermarks in areas that are supposed to support your weight. This visual inspection can help you when you call the roofing company for emergency roof repairs. One of the most common issues homeowners deal with after a storm is water damage. Rainfall and snow can damage your home by pooling around or seeping into the roof. Clean the gutters before and soon after the storm has passed. Debris can clog your gutters and downspouts, making them less effective. Clean gutters are less likely to cause ice dams, suffer weight overload and overflows, as well as other concerns. Call your contractor immediately if your home is compromised by the storm, wind, or hail. They may be able to patch up your roof temporarily, then come back when the weather is fine to make more permanent repairs. 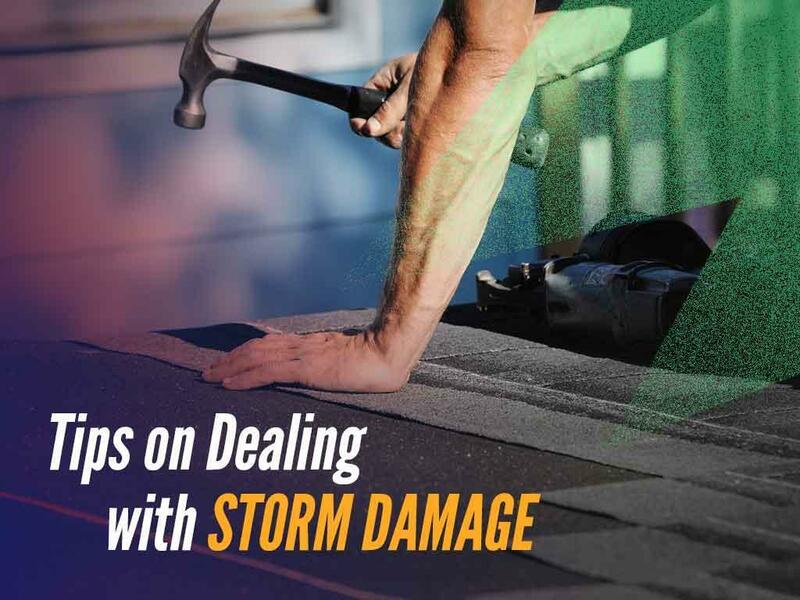 Hail damage roof repair is not a DIY job, nor is it something you should leave in the hands of a handyman or an out-of-town roofer who may be a fly-by-night con artist. Always trust only a local professional. PERTEX Roofing and Construction is the roofing company you need for problems like storm or hail damage. Call us at (214) 473-5888 to get started on your roof replacement today. We can give you a free estimate in Plano and other areas in TX.